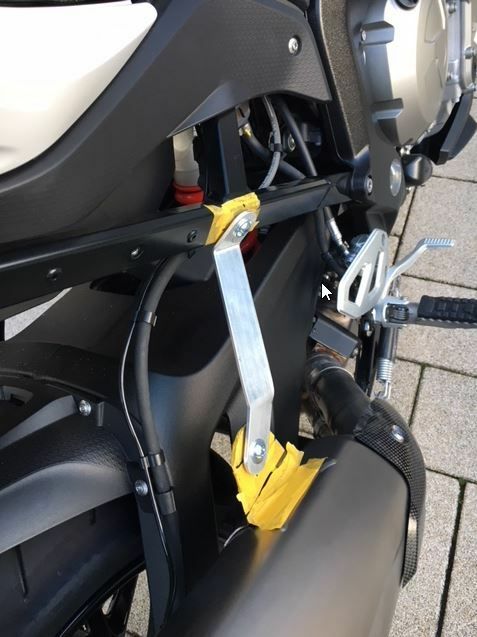 Maybe I overlooked it but I haven’t seen it, does anyone have experience with mounting the Akra slip on from the S1000R on the XR? I assume the passenger foot peg and bracket need to be removed and you cannot mount suitcases anymore but that’s fine. I can create a custom bracket myself but I would like to know if there are other issues with it? 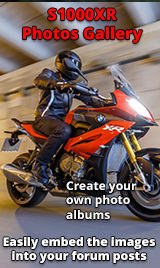 Re: Mounting the S1000R Akra on the XR? Interested here as well. 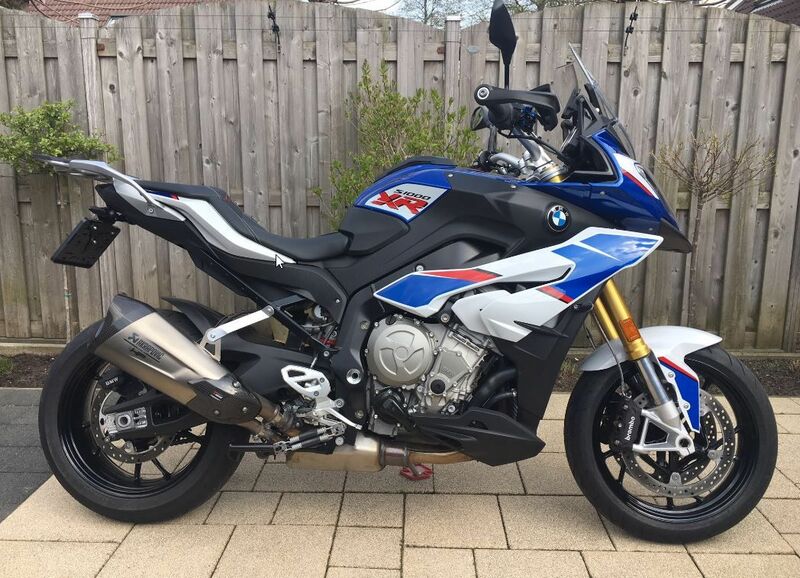 I have a standard S1000r can which I've been considering having a go at fitting. Mines from a 2015 so fits the single outlet from the cat. I understand there's a link pipe available through one of the aftermarket can suppliers which allows the standard single 50mm? Can inlet to fit the duall oulet on the XR. Here we go, does this help? Depends whether you Akro is a duall inlet or the older single. The link pipe below is for the single if I understand correctly. Also the original "no" answer refers to a link pipe on eBay. 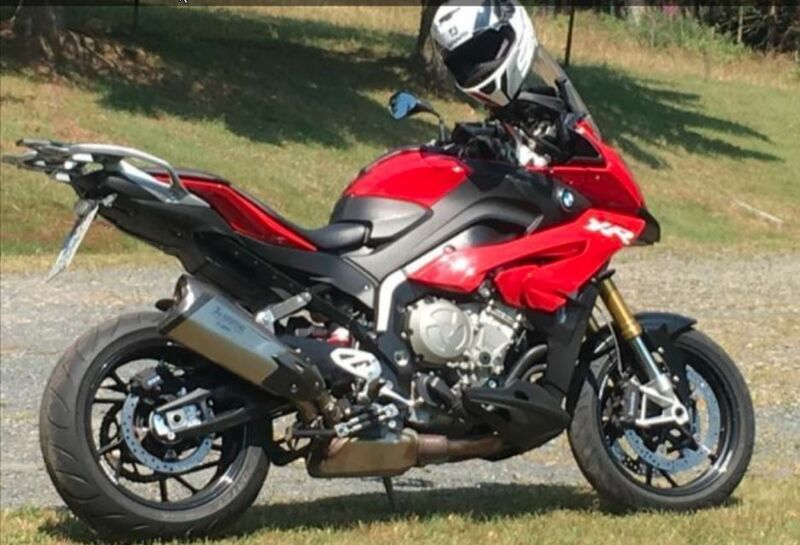 The Akra I have is one with dual inlet so that should fit my CAT. I have seen the link pipes on Ebay for very cheap but I dont know the quality. Found this on the internet, seems to work with a selfmade bracket. Got the muffler attached and made a first prototype for the bracket. Seems pretty stable so not sure yet if I will try to create a triangel bracket.